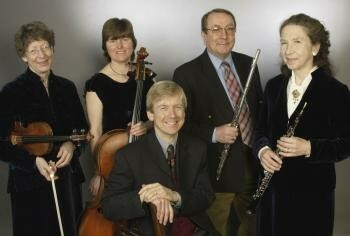 The London Harpsichord Ensemble is one of the longest-established instrumental groups in Britain. Since Sarah Francis took over the direction of the Ensemble it has continued to play at festivals and music clubs and regularly on the South Bank. The players are especially praised for their musical insight, joie de vivre, and stylish interpretation of 18th century music. 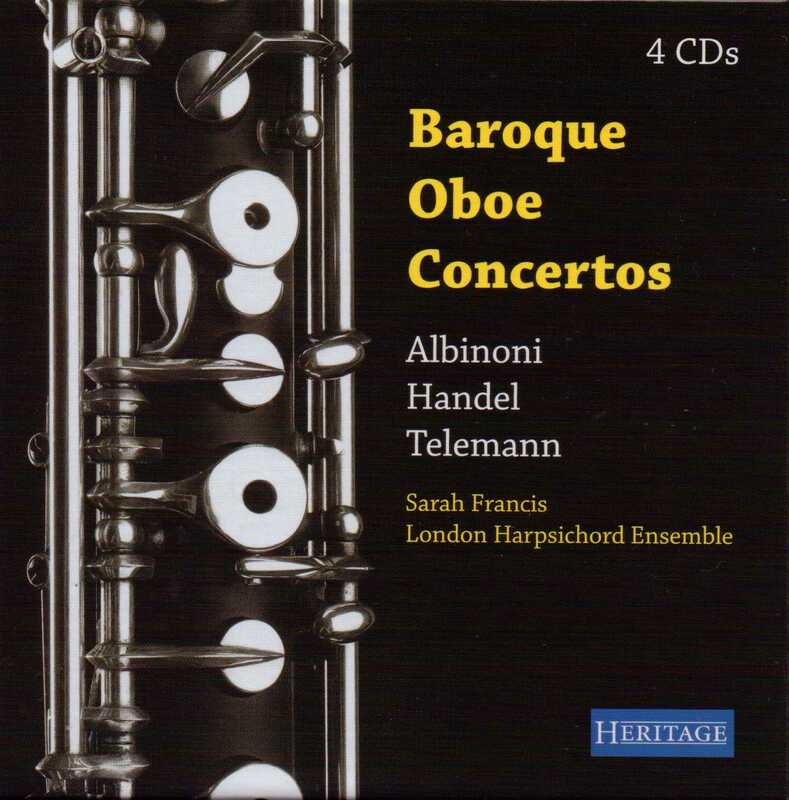 The Ensemble’s recordings of Albinoni, Handel and Telemann concertos, now available on Heritage, have received international acclaim. 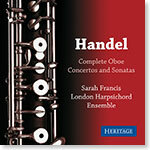 They have been frequently broadcast on BBC Radio 3, Classic FM and radio stations worldwide. They are all recommended by the Penguin Guide to Compact Discs as four-star “key recordings that might be used as the basis of a personal collection”. Five players form the nucleus of the ensemble: flute, oboe, violin, cello and harpsichord. They have a large and varied repertoire of eighteenth century music, of which a few examples are given here. They also play contemporary pieces including works that have been composed for them. The group can expand to eight or nine players for concerto programmes. The Ensemble’s 20th Century repertoire includes works by Addison, Berkeley, Britten, Stephen Dodgson, Gordon Jacob, Walter Leigh and Rubbra. Heritage Music, a new label featuring British artists, have recently reissued the Albinoni, Handel and Telemann Concertos in a boxed set.